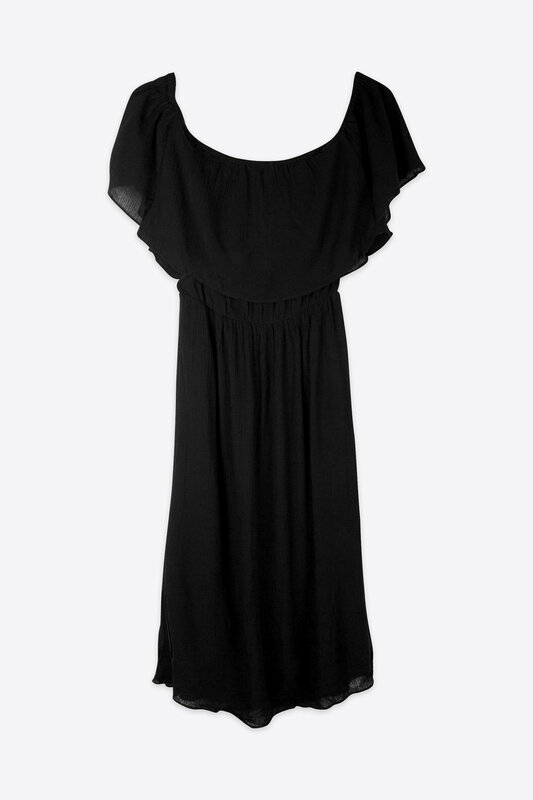 This classic dress features a sophisticated midi-length and an off-shoulder design with a subtle overlay for an effortlessly feminine look. The shoulders and waist are elasticized for maximum comfort, and the lightweight fabric will keep you cool while draping beautifully against your silhouette. Pair with heeled sandals for a lovely, delicate look.